Impactful and engaging content is memorable especially when displayed in a cinematic environment. Analog Way image processing and media playback solutions allow users to easily stitch together the output of multiple overlapping projectors and make one seamless wide screen out of them. 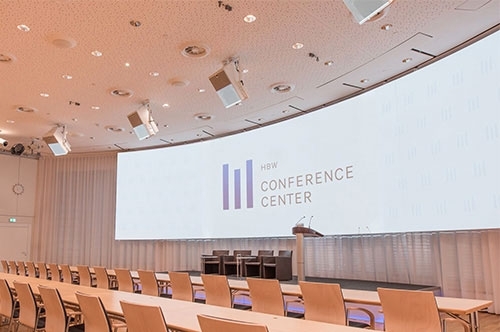 In order to keep your audience focused on your presentation and key messages, Analog Way's products can display multiple layers of content anywhere on the projection surface without any restriction. With ultra-low latency and with true seamless switching, Analog Way's image processors are ideal for live applications requiring very short response time.